Will Batman v Superman Introduce Villains KGBeast and NKVDemon? As Batman v Superman: Dawn of Justice continues shooting in Chicago, a number of possibly obscure character references have been spotted on the set. Last week, we reported that the name Kahina was taped to one of the trailers, which lead to speculation that this may be who Jena Malone is playing. Over the weekend, Filming Chicago noticed two more character names spotted on the set, Knyazev, a.k.a. KGBeast and Gregor, a.k.a. NKVDemon. Kahina was a member of The Others in the DC Comics, a group that has ties to Aquaman. 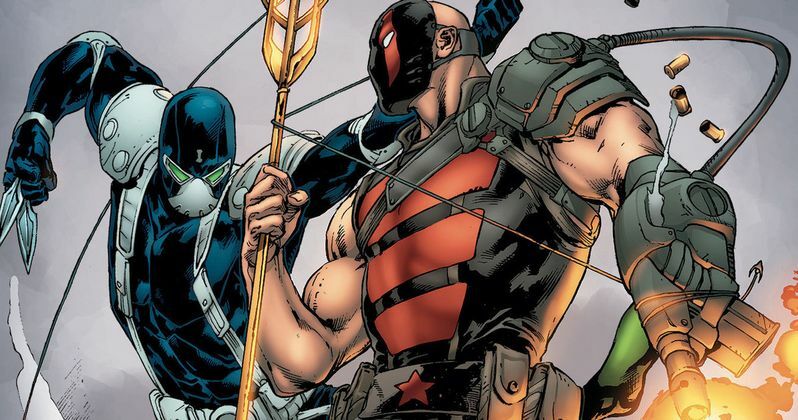 KGBeast was featured as a villain in the 'Aquaman and The Others' comic series. It's possible that these characters will be introduced in Batman v Superman: Dawn of Justice before getting bigger roles in David Ayer's Suicide Squad. NKVDemon was actually a student of KGBeast in the comics, and is described as Russia's deadliest assassin, so if KGBeast is actually a part of the story, it would make sense to include his prodigy, NKVDemon. Of course, the other possibility is that these names are just meant to throw off the fans seeking every bit of information possible about Batman v Superman: Dawn of Justice, but we probably won't find out for sure until this big screen action-adventure hits theaters on March 25, 2016. @ComicBookdotcom@LionJohnston knyazev was the name on another trailer. I saw the sign and retweeted a photo someone else took. @screenrant another new name today: Gregor/Jim. Gregor....NKVDemon? They are really trolling deep if this is fake.